Real estate news and views from the leading RE/MAX franchise serving Ottawa, Nepean, Kanata, Barrhaven and Stittsville. The busiest time of the real estate calendar year is about to get started. Are you ready? 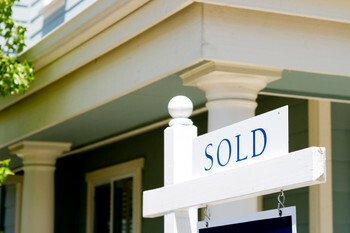 For home buyers and home sellers alike, springtime is a busy time. More sellers are listing their homes and more buyers are searching the market for their dream home. Today, we’re going to provide some valuable tips on how you as a home seller in Ottawa can get top dollar for your property during this very important time of year. Two months or more before you list your home, find a qualified real estate agent. In fact, this is probably one of the most important decisions you’ll make as a home seller. After all, if you pick the right REALTOR, they will diligently market your home to the right and qualified buyers and will also work hard to ensure you get the best price possible. To find the right REALTOR for you, make sure to ask them about their past experience – not just in selling homes, but in selling homes in your price range and in selling homes in your neighborhood. Also request some information such as their list-to-sales ratio, which will give you an idea of their success rate in the past. Six weeks before you list, address any major repairs or upgrades that are needed. Make sure to pay particular attention to the kitchen and the bathrooms as these are often the rooms that become the deciding factors for buyers. You might even consider purchasing a new set of appliances, such as an updated dishwasher or refrigerator. This will likely help you fetch a higher price for your home. One month out, declutter your home. And make sure to depersonalize it as well. By doing so, you’re going to help make your home feel larger, more inviting and cozier. What’s more, by depersonalizing your home by removing excessive amounts of family portraits and other odds and ends, you’re helping the home buyer really envision what it would be like for them to live there. Two weeks out, have your home photographed. And don’t believe the argument that taking photos with a smart phone will look just as good as taking photos with an advanced digital camera. You want to spring for the latter types of pictures because they will help your home appear larger and more inviting to buyers who are looking at pictures online. By the way, don’t forget to photograph the exterior and the yard as well! One week before you list, give your home a thorough cleaning. For instance, you might consider steam cleaning the carpets, hiring a maid service to address your kitchen and bathroom areas and organizing your closets. Leave no stone unturned – buyers are sure to check it all out! And there’s nothing that will turn off a buyer faster than a dirty home. Finally, list your home online. Generally speaking, real estate websites see the most activity right before the weekend. So if you can do it, make sure to list your home on a Thursday or Friday as you’re likely to attract the most home buyer attention. And make sure that when you do list your home online that pictures are included as this will help draw buyers in even more. We hope you found today’s blog insightful as a home seller. For even more information on how you can ensure yourself a successful outcome on the local housing market, make sure to contact us. We would be glad to help!